If there was a magical drink that could help boost metabolism and weight loss, cleanse & detox your liver, stimulate your digestive function, and even improve your skin, would that be the kind of drink you'd want to know about? Well listen up because I've got a super simple drink that has helped many people do the things I've just mentioned above. It's certainly no miracle cure, I can't promise you that. But I use this drink myself and many people have also reported how it's helped them. Now let's just say up front that this drink won’t make you lose weight all on it’s own, you still have to eat well, but it helps a great deal with getting things moving – and in just a moment we are going to discover why. 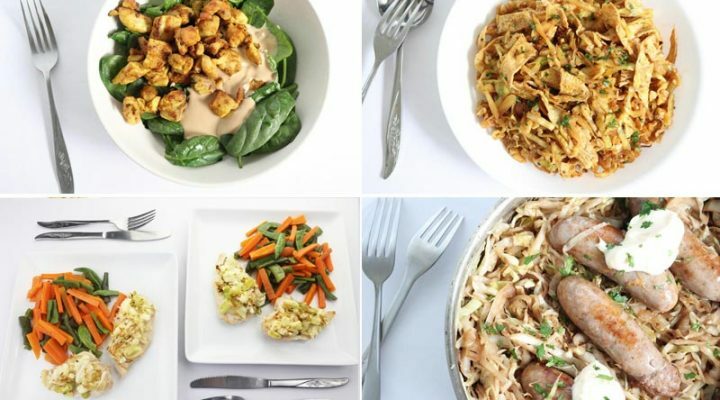 Click Here to Subscribe – stay in the loop with nutrition tips, info, and delicious recipes too. So what is this magical drink? Great question. It's so incredibly simple, so here's the recipe. Place the juice of half a lemon and a teaspoon of apple cider vinegar in a mug. Fill the mug with warm filtered water and drink it first thing in the morning on an empty stomach – just like you'd have a cup of tea or coffee in the morning. Well, instead you're going to have this lemon and apple cider drink. Then wait at least 15 minutes before you have any other food or drink. It's a bit bitter and tangy, so it can take a bit of getting used to, but it's well worth it for the benefits it provides. So let's go over those benefits now so I can explain how these 2 simple ingredients can help. Lemon contains flavonoids and polyphenols that provide powerful antioxidant capacity, it has antiviral, anti bacterial and immune boosting properties to promote wellness on many levels. 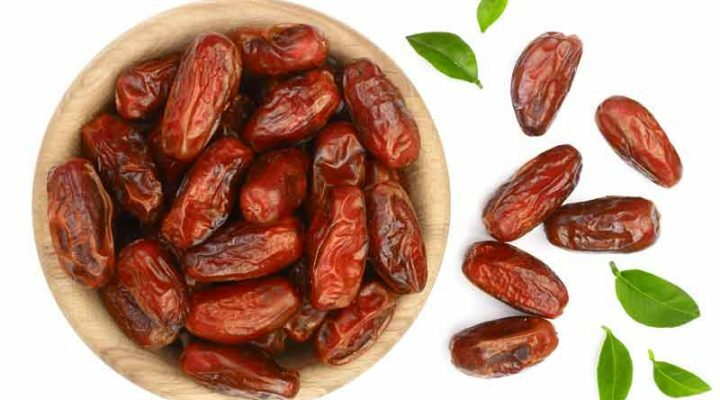 It's also loaded with vitamin C, magnesium, calcium and other vitamins and minerals, and is an incredibly neutralizing and cleansing fruit for the body. Apple cider vinegar has long been used as a natural remedy for many things. It has natural anti bacterial and anti viral properties. It also contains many minerals, has alkaline properties, can aid with blood sugar regulation, help lower blood pressure and cholesterol, promote healthy gut bacteria, and boost overall immune function. These really are 2 simple ingredients that have long been used as traditional remedies for many ailments and it's probably because they do in fact have lots of amazing health benefits! If you're in the process of losing weight or improving your health, chances are you've come into it with a body that is way out of balance – a metabolism that isn't functioning quite right and needs a bit of a boost. The digestive system is the place where our metabolism starts – from the mouth down. Your digestive system is key in helping you effectively metabolize your food, extract nutrients, and eliminate toxins. The digestive system can become inhibited by the consumption of highly processed foods and eating an unhealthy diet. This little magic drink greatly helps with the stimulation of digestive enzymes throughout your gut – starting in the mouth by stimulating salivary juices. There are thousands of these enzymes working hard to digest your food effectively so giving them a helping hand is a very beneficial thing. It also helps to assist with better elimination by stimulating the bowel. So if you suffer from constipation it can be a great help in that region too. Raw apple cider vinegar is a tonic for your overall immune system, it's loaded with those enzymes we just mentioned, and also beneficial bacteria. More and more research is revealing the importance of having a good balance of healthy gut bacteria. And did you know that more than 70% of our immune function starts in the gut with these bacteria? Think about it. Our digestive system is the first contact our body has with the outside world. So these gut bacteria are responsible to sort out what comes through and what doesn't. When our gut bacteria get out of balance we can have more ‘bad guys' letting things through that they shouldn't, we can get increased inflammation, and our immune function can become impaired. Being a fermented food source, apple cider vinegar is considered a prebiotic food that helps promote healthy gut bacteria and therefore promotes better immune function. Apple cider vinegar also promotes stomach acid production, so it's a great remedy for heart burn or reflux. I guess you could say it helps wake things up and this can only be a good thing. 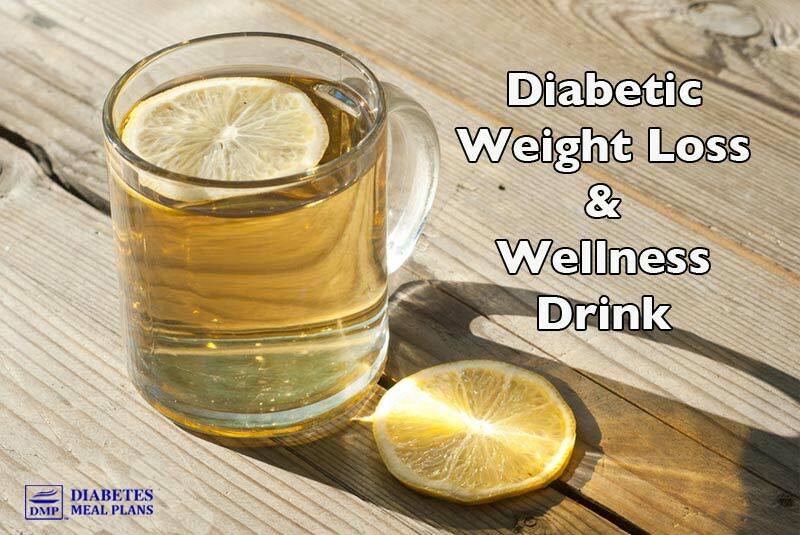 One of the reasons this drink may be so helpful is that it helps reduce blood glucose levels. This is well documented in science and we've written about vinegar in more detail in a previous article. Quite amazingly, “before the production and marketing of hypoglycemic agents, vinegar “teas” were commonly consumed by diabetics to help manage their chronic aliment”. If we can keep blood glucose regulated we have less insulin production. Insulin is the fat storage hormone and it's job is to push excess glucose out of the bloodstream, and where does it end up? Stored as fat. So regardless of whether we're diabetic or not, by reducing blood glucose and insulin we naturally have less fat storage – it's simple biochemistry. The liver is an amazing organ and is responsible for processing all the nutrients we eat and then shipping them out to the various parts of our body. It's basically a filter for all our bad habits, helping to process the toxins we constantly bombard our bodies with. The liver is highly important in diabetes as many people get a fatty liver. And because the liver is so intricately involved with nutrient metabolism, anything that helps it function better is going to help you. 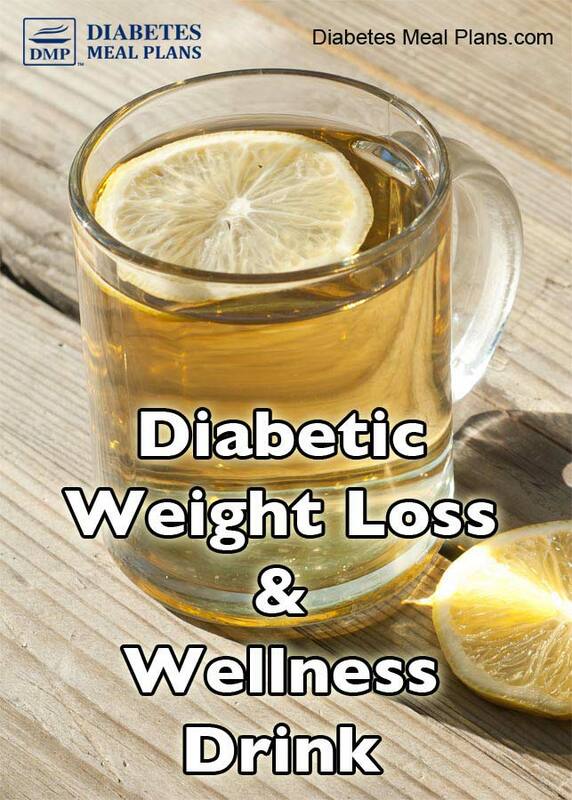 This lemon drink helps to cleanse toxins out of the liver and also stimulates liver function, promoting more effective and efficient processing of nutrients, including increasing fat metabolism. Metabolic function basically includes all the stuff that goes on in our bodies, the stuff we don't see that helps regulate things like weight, blood pressure, and cholesterol. 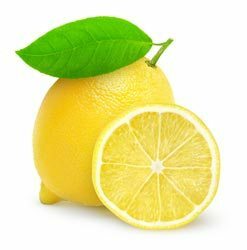 Lots of studies suggest that the flavonoids in lemon and citrus help with “regulating the fatty acid and cholesterol metabolism and affecting the gene expression of glucose-regulating enzymes”. Another study showed that lemon flavonoids help reduce cholesterol and fat in the liver. And yet another study in mice showed that lemon polyphenols reduces weight gain and fat accumulation. And though there is no research to back it, I've also found that one additional benefit is that it helps to decrease sugar cravings and regulate appetite, my clients have also found this to be true as well. Overall the benefit is that when you kick start the day on a good foot like this, it often means the rest of the day is going to be great too! This may not be directed related to weight loss or metabolism, but it's definitely a great health benefit worth mentioning. Oxidative stress causes changes and damage to certain cells in the body and can lead to the development of diabetic complications. A study done on rats showed that 2 antioxidant flavonoids in lemon – eriocitrin and hesperidin – reduce oxidative stress. Another benefit that isn't proven by science but has surprised me with the comments is that this drink helps improve the skin. Please pin, tweet or share; then keep reading below for FAQs. Since this is a drink I commonly recommend people drink I've collected a whole bunch of questions and related topics that commonly get asked. Can I use bottled lemon juice instead of fresh lemon? Yes you can but it won't have as many antioxidants and nutrients as using fresh lemon. Some of the quality does get affected through storage. Yes, lime has very similar properties to lemon. What else can I use instead of apple cider? There isn't really anything else you can use but if you really don't like apple cider, just use the lemon water instead. I’m in love with this drink. I drink it all day long.. is there a reason not to ??? No reason. Drink it all you like. Does the apple cider vinegar have to be raw/organic??? Or can I use the generic kind? 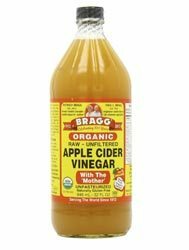 A good quality raw apple cider vinegar like Braggs Apple Cider is best. It is raw and unpastuerized and contains all the beneficial enzymes and bacteria. Of course, if you can't get the good quality stuff a generic vinegar will still provide some benefits – so don't let it deter you from using the supermarket bought stuff if that's all you can access. Can I drink this with green tea? It’s best to have on it’s own on an empty stomach, then wait 15 minutes before you have your green tea or anything else. How long should I wait after drinking this before eating breakfast? Wait at least 15 minutes, just to give the drink enough time to digest before taking in any other food or drink. Is it okay to drink this everyday? Or should you only do it for a week or so at a time? The idea is that you do this every single morning. It's a great health practice for the long term. Could you drink it with just cold water? Or is that bad? Make it luke warm, it’s better if it’s body temperature. Can I add ginger to the drink? 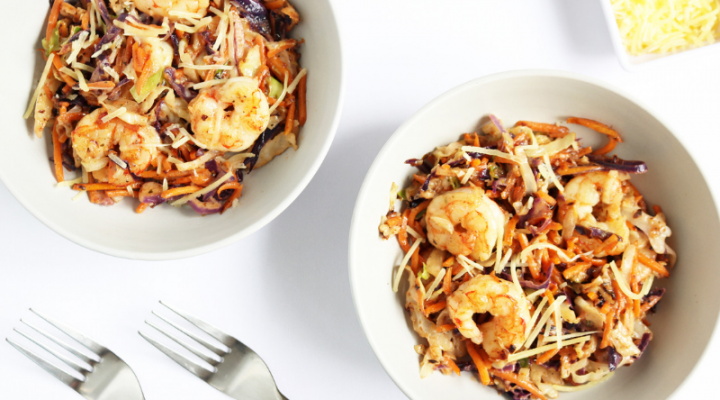 Yes, you could add some finely sliced or grated fresh ginger, it's also known to boost metabolism and reduce inflammation. Another thing you could add is 1/4 teaspoon of cinnamon. Cinnamon is well known to lower blood glucose as well. Does this drink effect your teeth? I've never had any problems but I did read a study that mentioned some components in lemon can possibly effect the enamel on your teeth, and a dental nurse once said if you are drinking this every day to use a straw. So if you want to air on the side of caution, then have your morning tea with a straw. You could use one of those fun twirly straws – I remember I loved those as a kid, what about you? So there you have it. Scroll back up to the top and note down the recipe so you can get started tomorrow. Hope you notice some great benefits from it like lots of other people do. Want to Lose 5 Pounds in 1 Week? And Lower Blood Sugar to Normal? That's exactly what JoAnn B did – she's took our 30 Day Diabetes Turnaround Program™. 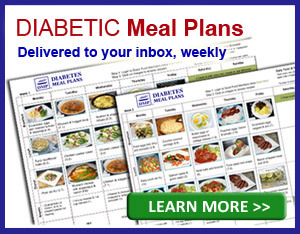 Turn your type 2 diabetes around with our 30 Day Turnaround Program. FULL of Awesome Diet Tips, Tricks, & Food Ideas. In just 30 days you can lose weight and lower blood sugar, and learn exactly what to eat to keep it that way. When would be the best time to have this drink after taking my thyroid pill. I take it first thing in the morning .. I usually have breakfast anywhere from an hour after taking the medication to first break at work..(10ish).. How long after having the drink can I eat.. This would be a great question to ask your doctor, Pearl. Many thyroid medications need to be consumed on an empty stomach for upwards of 60 minutes, however a beverage may be able to be consumed earlier than that. Once you start drinking this and get results, is this something you will have to do forever? It is perfectly fine to continue indefinitely if you choose, Jackie. Being that lemon juice and apple cider vinegar are both safe in pregnancy there are no contraindications that I am aware of. You may still wish to check with your doctor, especially if there is a concern you’re blood sugar may lower after consuming. I’ve been meaning to try this but my question is if I have a lot of indigestion which my doctor thinks Its gastritis and was thinking the lemon and cider don’t they have a lot of acid? Won’t it make me sick if I drink it on an empty stomach? Because I’ve tried it at night before bed and nothing happens.. but i haven’t tried on an empty stomach . If a use the lemon. That I use for my lemonade; cause I like the skin cooking mean a lots i decide too cook and dry k that water is bitter. Buy it may help for somenthig? Not sure I understand your question?? You want to use cooked lemon? What about agave to sweeten as it lowers glucose? Agave does not lower glucose! That is a common myth; your body will respond to sugar and agave the same. I’m curious. Do you test for fasting blood glucose before this drink or when you start to eat breakfast after the 15 + minute wait? True fasting blood sugar would be before this drink. Can you drink before every meal or just breakfast? You can drink it before every meal if you want to. 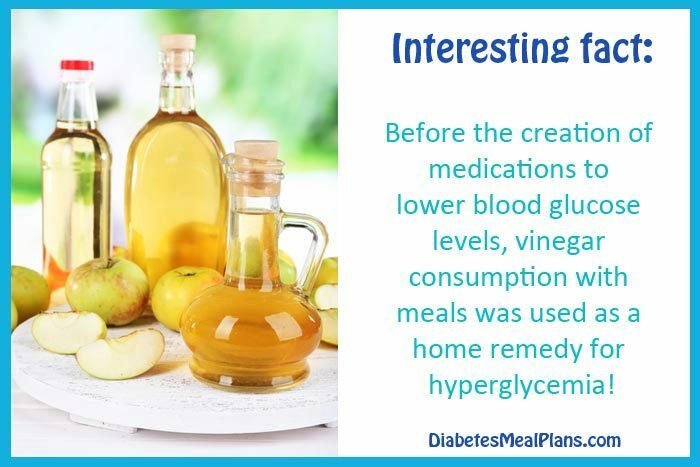 The vinegar helps blood sugar too, so you’ll only benefit. Can I still have coffee after I drink this each morning if I wait 20 to 30 minutes? I drink my coffee black, nothing added or do I need to give up coffee all together in the morning? The recipe is as follows: Place the juice of half a lemon and a teaspoon of apple cider vinegar in a mug. Fill the mug with warm filtered water. I would suggest about 1 cup of warm water, but you can adjust depending on how diluted you like/need it.